Relatively unspoiled and an ideal size for exploration, Camiguin (cah-mee-geen) is notable for its imposing silhouette – drop it down next to Hawaii or Maui and it wouldn’t look out of place. With more than 20 cinder cones 100m-plus high, Camiguin has more volcanoes per square kilometre than any other island on earth. And because it’s untouched by large-scale tourism and one of the more tranquil islands around – the 10km of Gingoog Bay separating the island from the mainland is partly responsible – those who do come feel proprietorial about this little jewel and guard news of its treasures like a secret. 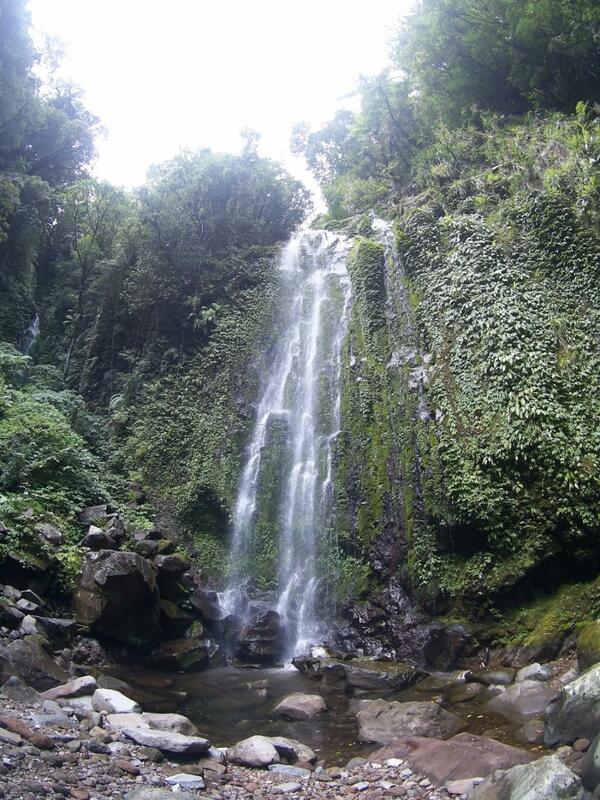 Besides the usual diving, snorkelling and sandy beaches (except for offshore ones, beaches have brown sand), Camiguin offers a chance to climb a volcano and a seeming endless supply of jungle waterfalls and hot and cold springs. Waterfall in CamiguinAt 15m or so this is the shortest of the falls on Camiguin and one of the most difficult to reach. You can go on your own or with a guide arranged through your accommodation. Do not try this hike during or soon after rain: the road and path can get extremely slippery and treacherous. Landslides up here aren't uncommon. Coming from the west, the turn-off for Binangawan is just past the Sagay National High School; from here it’s another 9km or so uphill until the road splits; veer left (a sign marks the way). Most motorbikes can make it with no problem, though it's extremely steep the last several kilometres.The path starts opposite a small concrete building. There's a gap with a several steps hacked out of the sand. After about 50m there's a clearly visible trail on the right side. When you reach a water installation (big tank with a couple of pipes), the trail to the left goes steeply down to the lower falls and the right gradually to the upper falls (can take a strong hiker over 1¼ hours to reach the latter).